The Achilles tendon is the thickest tendon in the human body. 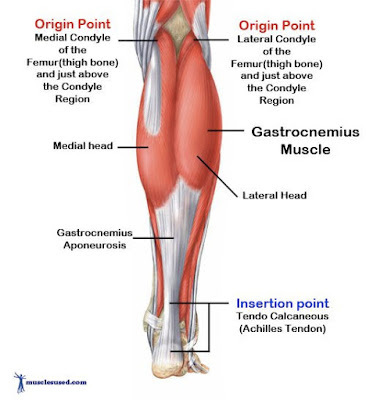 It attaches the gastrocnemius and soleus muscles (together known as the triceps surae) as well as the plantaris muscle to the calcaneus bone (heel) of the ankle. 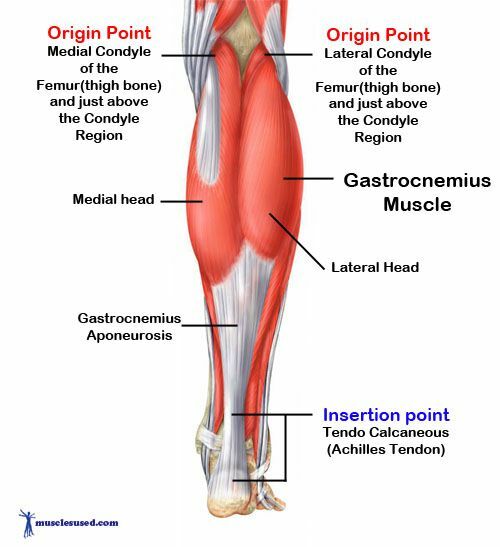 These muscles combined allow for plantar flexion at the ankle and flexion of the knee. Tendinopathy of the Achilles tendon refers to a condition that causes pain, swelling, or stiffness at the tendon connecting the muscles to the bone. Commonly found in athletes such as runners, overuse of the tendon, may result in microtrauma or repeated injuries to the Achilles tendon. Wearing improper footwear, having poor training or exercising techniques, making a sudden change to your training program, or exercising on hard surfaces may also cause minor injuries to this tendon. Pain and stiffness may develop gradually and are typically worse in the morning. Pain is generally worse after exercise, but may potentially arise during training. Overtime, symptoms may be so severe that individuals may be unable to carry out their usual daily activities. Rehabilitation occurs quickly or over several months depending on the severity of the injury. Although pain may be present, expert clinicians and researchers recommend continuing daily activities within one’s pain tolerance. As complete rest should be avoided as much as possible. In the early stages of Achilles tendinopathy, a treatment called iontophoresis may be used to reduce soreness and improve function. This treatment involves delivering a medicine (dexamethasone) to the painful area. Ice packs are also effective in reducing swelling. Apply ice pack wrapped in a towel or dry cloth to the affected area for 10 to 30 minutes at a time. However, researchers have found that Achilles tendinopathy is often successfully treated with strength training guided by a physical therapist. Strength training relies on using one’s body weight with or without additional weight for resistance to load the tendon and associated muscles to strengthen the calf. Do exercises slowly to decrease pain, improve mobility, and return to normal functioning. 1) Heel-raise: Stand with your feet a few inches apart. Raise up on to your tiptoes and lift the heels by using both legs. Then lower yourself down using the affected leg. Perform 3 sets of 15 repetitions twice per day. This exercise can also be performed seated in a chair. 2) Calf stretch: Stand a few steps away from a wall and place your hands at about eye level. Place the leg you want to stretch about a step behind the other leg and bend the knee of the front leg until you feel a stretch in the back leg. Remember to keep your heels planted. Hold this position for 15 to 30 seconds. Repeat 3 to 4 times before switching to the other leg. Repeat twice per day. 3) Towel stretch: Sit with both knees straight on the ground and loop a towel around the affected foot. Gently pull on the towel until a comfortable stretch is felt in the calf. Hold position for 15 to 30 seconds. Repeat 3 to 4 times before switching to the other leg. Repeat two to three times per day.